We create a unique recipe of food for your dog, based on everything from breed and age to lifestyle and health. It means we can tailor your dog’s recipe to their specific needs – so if they don’t get on with grain, we don’t use grain in their food. If you choose to go grain-free, we make your dog’s food without wheat, oats, or rice. 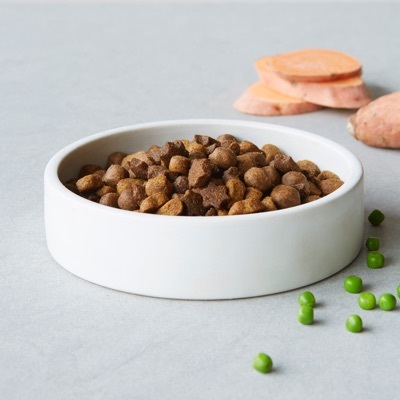 And we make sure your dog gets the right carbohydrates and nutrients from other sources instead – with sweet potato, potato and beet pulp to give them plenty of fibre and energy. 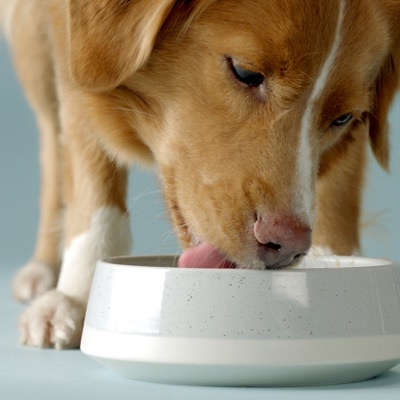 Dog food allergies and intolerances – like itchy skin or sensitive digestion – are often a reaction to specific ingredients, so choosing grain-free or wheat-free dog food might be only part of the answer. If you need dog food for sensitive skin or an upset tummy, you can either pick the ingredients you’d like us to leave out - like beef, dairy and eggs - or choose a hypoallergenic recipe and we’ll do the rest. We’re so confident you’ll see the benefits of our grain-free dog food, you can get started for free. After your trial, you’ll get a dog food delivery each month. Cancel any time. We’ve helped thousands of customers find the food that’s right for their dog, for life.